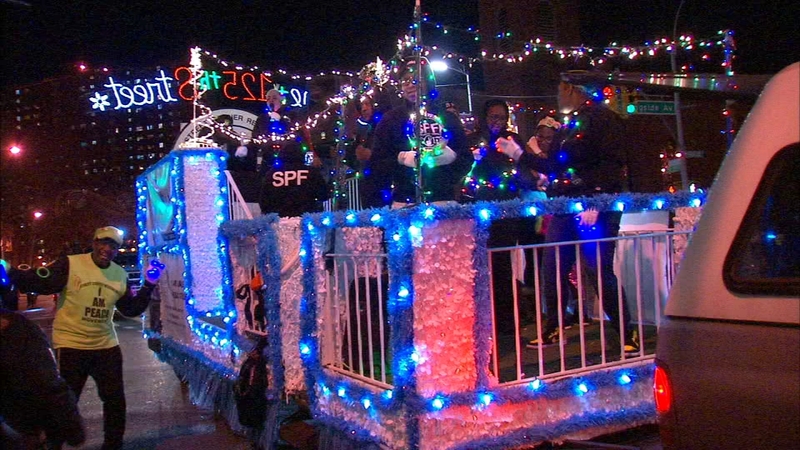 HARLEM, Manhattan (WABC) -- Helping to make the season bright, the Harlem Holiday Lights festival. With a flip of the switch, lights strung above 125th St. lit up for the 25th consecutive year. The lights span from Fifth Ave to Marginal St. on the East River. Thursday night's free, family-friendly party included spectacular, illuminated floats, costumed characters, and live music.